Done Sydney and Melbourne? 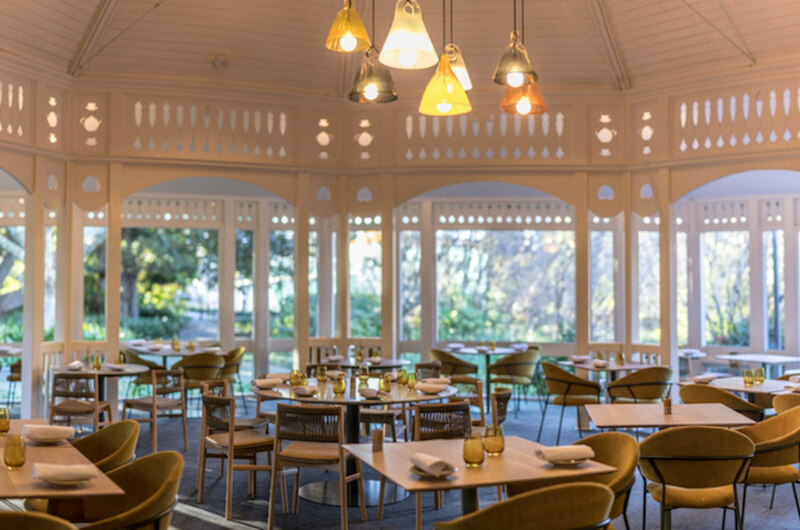 Make the South Australian capital your next Aussie gourmet getaway. “They call Adelaide ‘the twenty minute city’, Tin explained while pedaling us up the plane tree-lined road to the city’s Botanic Gardens, “Because you can get just about anywhere in twenty minutes or less”. Tin, an architecture graduate and part-time cyclist/host for a local pedicab company, was doing the hard work (well, not too hard – it was an e-bike after all) up front while we sat in the open-air cab taking in the pretty city. 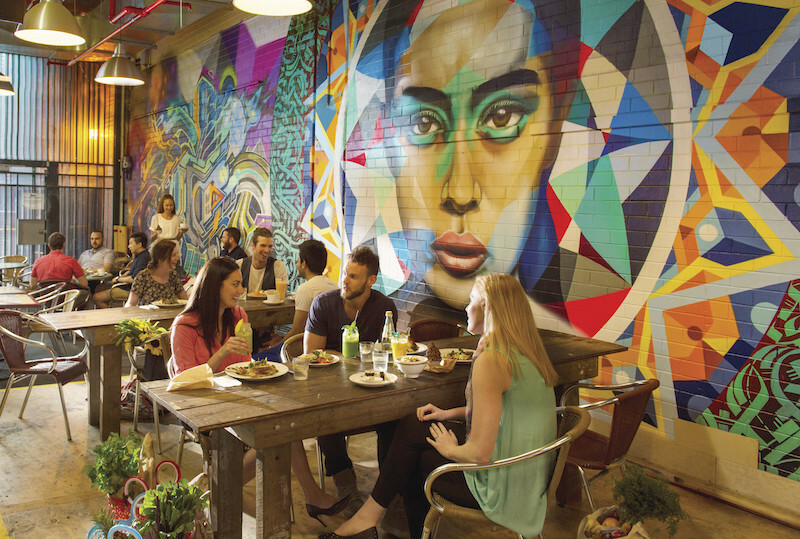 Not only is it easy getting around Adelaide, but the city boasts numerous attractions 20-50 minutes’ drive from the CBD: three distinct winegrowing regions, beaches, and the open countryside famed for growing a cornucopia of produce. Tin dropped us at the entrance to the Botanic Gardens at dinner time because that’s where – and what – we were going to be eating. 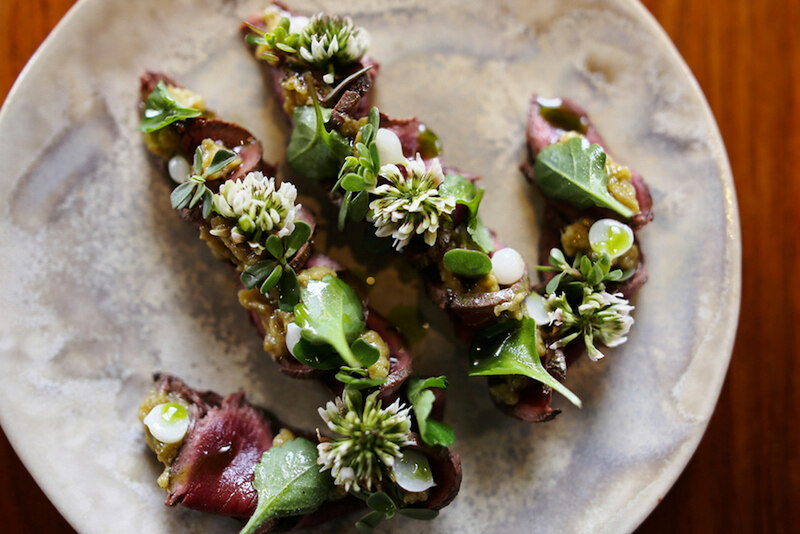 At the Botanic Gardens Restaurant, we dined on a 7-course tasting meal which came with a handy list of the 54 items currently being harvested from the garden, from saltbush to satsumas, and chickweed to chicory flowers. The highlight dish for me was the fig leaf ice cream with burnt meringue, fig oil and toasted frangipane, which made superb use of the garden’s fig trees. The flavour offered by fig leaves is almost better than the fruit, I reckon. Also offering a unique taste of the local South Australian landscape is chef Jock Zonfrillo’s Restaurant Orana which was named Australia’s Restaurant of the Year at the Good Food Awards. Zonfrillo founded the not-for-profit Orana Foundation, working to help grow indigenous food businesses and record native ingredients. Local food writer David Sly, with whom I dined, explained that Zonfrillo’s research has helped support a more sensitive way of looking at native ingredients – a contrast to how ‘bush foods’ have been tended to be added to restaurant dishes willy-nilly, with not always palatable results. A good place to get a handle on the many cultural and geographical influences on this city’s food scene is Adelaide Central Markets in the heart of the CBD. It’s been running for bang-on 150 years, and the varied and fascinating food on offer includes the likes of Lucia’s pasta and pizza (operating here since 1957), local seaweeds, coastal plants, camel meat (camel hump, even! 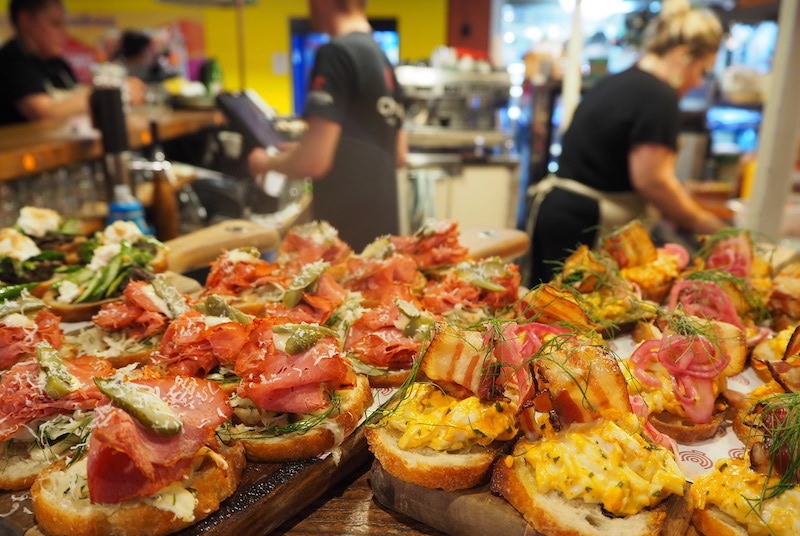 ), juicy local live oysters, sea urchins, a host of artisan products from nearby Kangaroo Island, and paella made in front of your eyes (very hard to resist). Tastings are readily offered, so go hungry. You can reach South Australia’s famed winegrowing regions the Barossa Valley and Adelaide Hills within an hour of setting out from the CBD; it takes a little longer to get to Eden Valley and McLaren Vale. But in only a quarter of an hour, you can get an up-close wine culture fix at Penfolds Magill Estate, which nestles on the foothills of the Mount Lofty Ranges on the northern fringe of the city. The renowned label’s first vineyard, established in 1844, is still a working winery with an excellent restaurant, Magill Estate Kitchen. We enjoyed a lunch that started with lush little Coffin Bay oysters and progressed into kingfish crudo, assemble-your-own duck bao with all the trimmings, and crisp pork belly. In place of dessert, we booked the heritage experience tour of the historic winery, finishing with a wine tasting that included cellar reserve wines. South Australia is gaining a reputation as a stellar producer of artisan gins. To taste a host of them in one spot, we headed along on a sunny Sunday afternoon to the tasting room of Prohibition Liquor Co. 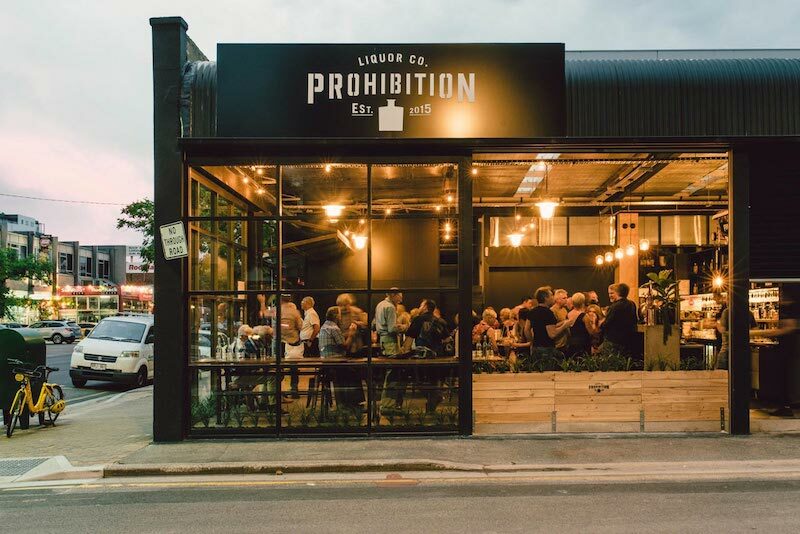 Behind the bar here they distil small-batch gins, including seasonal editions and their delicious Shiraz Barrel Gin, aged in custom barrels that first held bourbon and then later, local shiraz. Quite the tour through three distinct members of the booze family in one sip. To get a taste of the urban nightlife we made like the locals and spent our final night in the city’s lively central city hospotality strip. Lined with swish but friendly bars and restaurants, it lends itself to a whole night of popping in and out of doorways, progressing from aperitif to nightcap with lots to line the stomach in between. 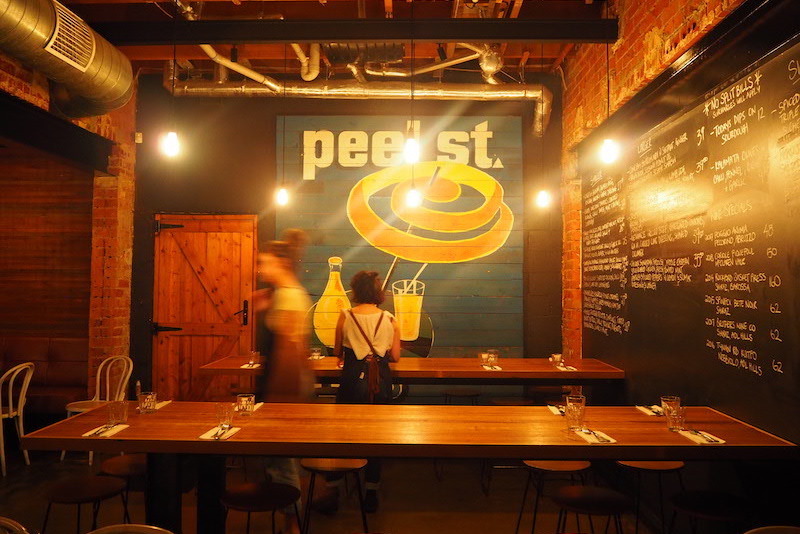 If, like us, you pull up a chair to dine at the enticingly buzzing Peel St, be sure to follow the staff advice and not over-order – portions really are huge! The flavours at this Asian/Middle Eastern fusion restaurant, located down its charming namesake laneway, are big and bold. A heaped serving of crispy kingfish wings with chilli relish and green mango salad was spicy and tart, sweet and sour; the Middle Eastern ricotta dumplings, which came with barberries, pinenuts, garlic, burnt butter and yoghurt sauce, was utterly plate-lickable. The perfect fare with which to enjoy a glass of Barossa Shiraz as we reminisced about the many memorable only-in-South Australia things we’d eaten and drunk over the past three days. Auckland-based freelance writer Anna King Shahab travels largely guided by her tastebuds. A keen seeker of the best street food, produce markets and local eateries, Anna believes food is a universal language of the most delicious sort.